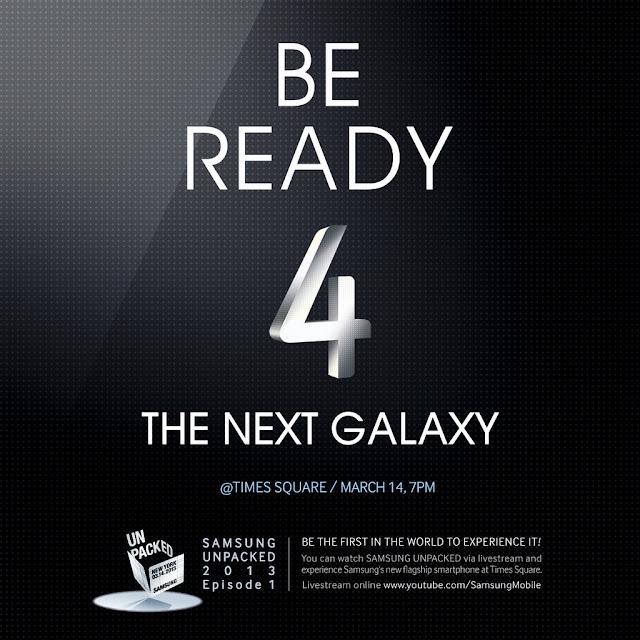 Following all the hype regarding the launch of Galaxy S IV, South Korean mobile phone maker Samsung appears set to create some more buzz by inviting everyone in Times Square in New York on March 14 for the unveiling of the device. The company has already sent out press invitations to a Samsung Unpacked 2013 event on that day, and appears set to stream it live for all users interested in joining the party at Times Square, at least this is what the invitation published on the company’s Twitter account shows. The press event will be held at Radio City Music hall, providing attendees with the possibility to experience the new device first-hand. Those who won’t be present in New York at any of the two events will most probably have the chance to watch the unveiling live over the Internet.